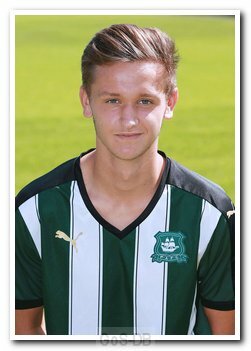 The younger brother of ex-Pilgrim Aaron Bentley, Jordan followed a similar path from Tamerton Foliot to St Boniface College in Plymouth before moving to Ivybridge College, and he also represented Plymouth Schoolboys at various levels. 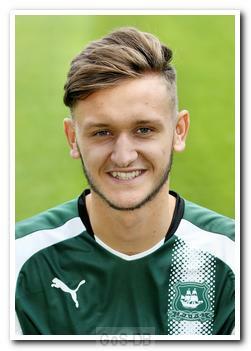 He joined Argyle's academy at the age of 13 and progressed through the ranks as a promising central defender before winning a two-year apprenticeship in 2015. He sat on the senior bench for the first time in March 2016 and just weeks later made his debut as a substitute on the final Saturday of that season, a week after his 17th birthday. 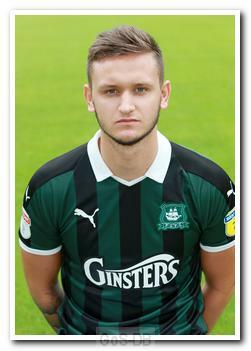 In June 2017 Bentley was rewarded with his first professional contract with the club, with his Football League debut coming as a substitute in the 5-0 home win over Hartlepool United on the final day of the 2016-17 season. He made an additional appearance the following season in the EFL Trophy game against a Swansea City under-21 side at the Liberty Stadium, but he was sent off before half-time. 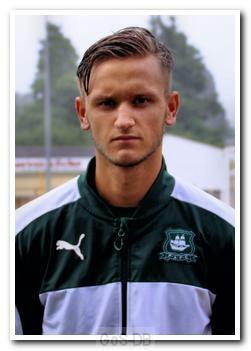 In August 2017 Bentley moved to National League side Sutton United on a three-month loan deal, where his team-mates included former Pilgrim Simon Walton and the head coach was another ex-Green, Ian Baird. He was eventually recalled from Sutton because of a lack of game-time, but his chances of a first team breakthrough or another loan were cut short by a broken leg suffered in training towards the end of January 2018.